Originally formed in 1984 under the name of MANTAS. 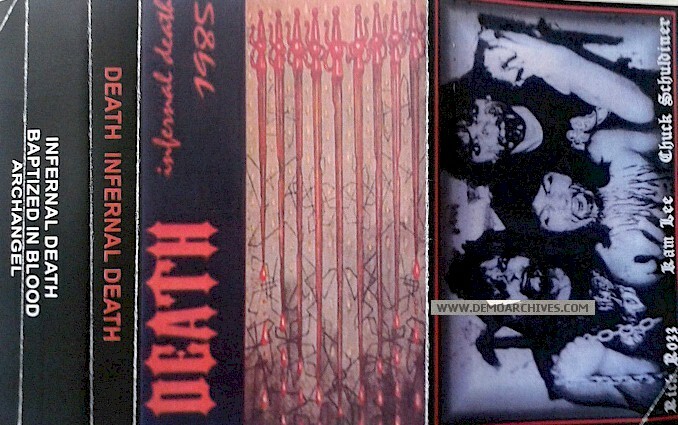 Schuldiner dissolved Mantas and quickly started a new band under the name Death. 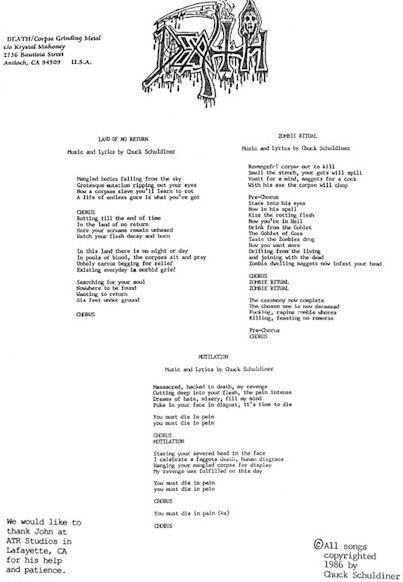 Its members included the same Rick Rozz and Kam Lee. 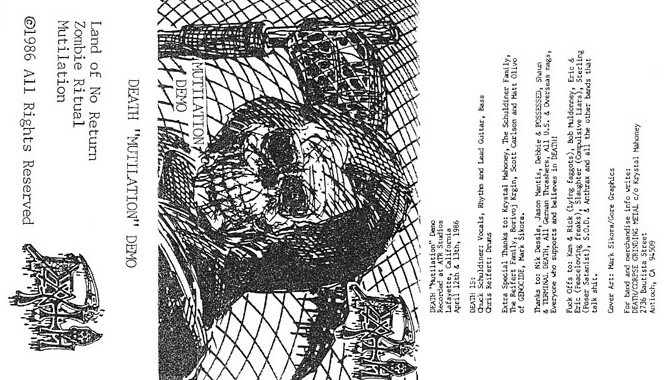 Another demo was released, called Reign of Terror. 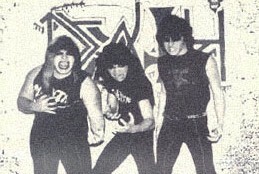 After Death split Chuck moved around and finally came back to Florida resurrecting DEATH with drummer Chris Reifert, former band mates Rozz and Lee were gearing up for the arrival on the scene of their new act, the influential MASSACRE. 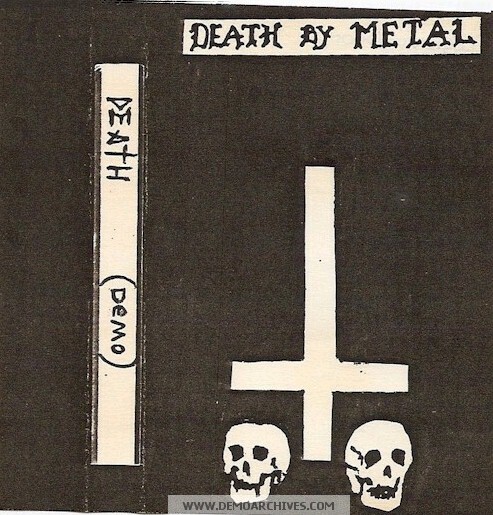 Alot of DEATH Live/rehearsals were distributed. Finally a recording resulted in the April 'Mutilation' demo, landing the band a deal with Combat Records. Chris Reifert would start AUTOPSY later on. 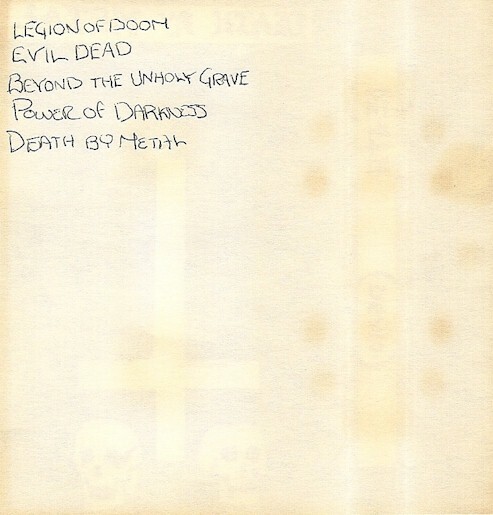 The demo was originally released under Mantas in late 83 early 84 but was reissued on September 7, 1984 as Death. Xerox covers on regular tapes mostly black. On the back of the cover where HANDWRITTEN song titles. Xerox covers on regular tapes. There is another version which is pro made on a black tape. Xerox covers on regular tapes. 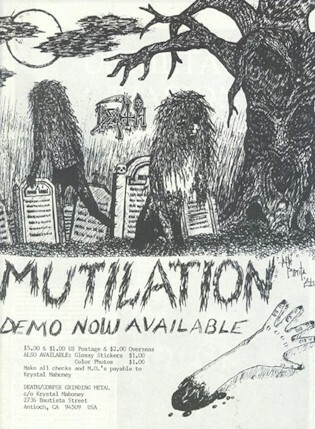 Released after the Infernal Death demo. Possibly recorded in the same session as that demo. Chuck said his voice was weak on the day. 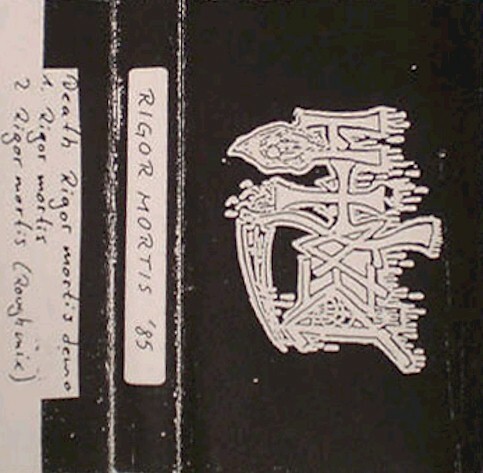 Xerox covers on regular tapes. Came with a fold out lyric sheet and info.